I did a lesson of Kimonon in my house. 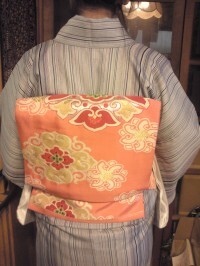 My back was straightened when I wear Kimono. It was comfortable! It was unusual because I always do a lesson with other student. I will keep on a Kimono lesson! !